Stop employee theft with Crossmatch® DigitalPersona fingerprint readers. Replace PINs, passwords, cards and keys with fingerprint authentication ensuring only authorized users gain access to POS terminals, applications and networks. Users simply place a finger on the reader window and the reader quickly logs in the user. Most likely, your existing POS terminal and software includes biometric support for log in. In many cases, it’s just a matter of plugging in a reader and activating the feature in your existing software. Over 90% of all US Biometric POS terminals rely on DigitalPersona including NCR, Panasonic, ELO, Touch Dynamic and more. The leading Retail ISV’s use Digitalpersona Biometrics including Epicor, Micros, Tomax, Retail Anywhere , Oracle and others. Tested to over half a million touches, our U.are.U 4500 fingerprint readers prove to be both durable and reliable. If you averaged 230 touches a day, our readers will easily last 5 years with normal usage. The readers are compact and easily cleaned using cellophane tape. Our Fingerprint Recognition Engine has an unmatched ability to authenticate even the most difficult fingerprints accurately and rapidly regardless of placement angle. U.are.U fingerprint readers can be purchased separately or integrated within POS terminals. 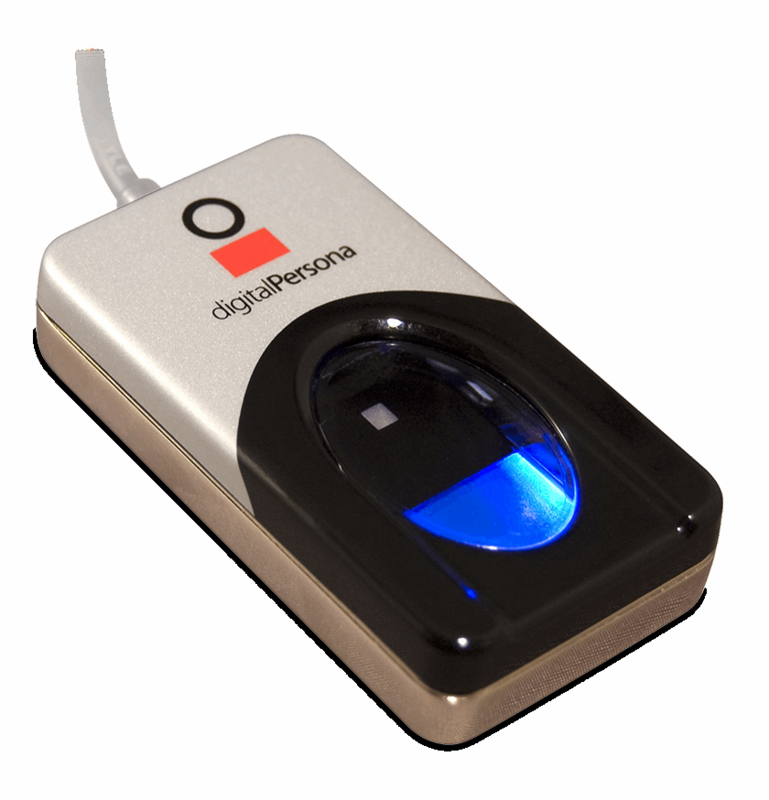 Contact Crossmatch to learn more about DigitalPersona Fingerprint Readers.